Is your garden calling you? If so, it is probably saying “Feed me, feed me”. In Spring, when everything is coming back to life, feed your lawn and garden. Finding the right time is the tricky part. Apply fertilizers after the last frost but not too early. Spring rains cause nutrients to leech away into the soil before your plants can see any benefit. Wait until you see the green popping through! If you have supplemented your soil with compost and organic matter over the Fall, you are ahead of the game. If not, no worries. Test your soil’s Ph level to determine what nutrients are needed. Don’t guess, it is easy to over-fertilize when using commercial chemical products. Are you giving your garden a good start or are you trying to increase the number of blooms and fruit you produce? Giving your garden what it needs depends on what stage of growth it is in. Established plants need less attention. Long-term – To replenish nutrients to the soil throughout the year. Short-term – To feed plants now to promote growth. If you are wanting your grass to put on a show for you this summer, make sure the soil is rich in nitrogen. Winter weather can compact your soil and strangle your grass. Aeration allows for better drainage, improved oxygen levels and easier absorption of fertilizers. If you are laying new sod, give the soil a good dose of organic matter first. Choosing the right fertilizer is a chore all by itself. There are so many to pick from at the garden center. A good rule of thumb – organic fertilizers won’t contaminate the ground water and are less likely to cause damage if overused. Compost – Use an aged mix to avoid plant burn. Work it into the top six inches of soil. Manure – Avoid using fresh manure. It gives off heat and ammonia as it breaks down that can harm tender plants. Chemical fertilizers – Use the right NPK (nitrogen, phosphorous, potassium) blend depending on your needs. Add before planting to allow it to dissipate into the soil and not burn the roots. Organic fertilizers – Consider trying bio-stimulants like liquid seaweed or kelp that you can spray directly on plants or soil and use monthly. Supplement your garden’s soil before planting with bone, blood or fish meal. These are good options beyond the usual compost and manure. Vegetables will also need a slow-release fertilizer throughout the growing season. Start adding it after your plants have established and re-apply it every few weeks. You can also plant green fertilizers like clover, which will deter weeds and enrich the soil when it dies back. 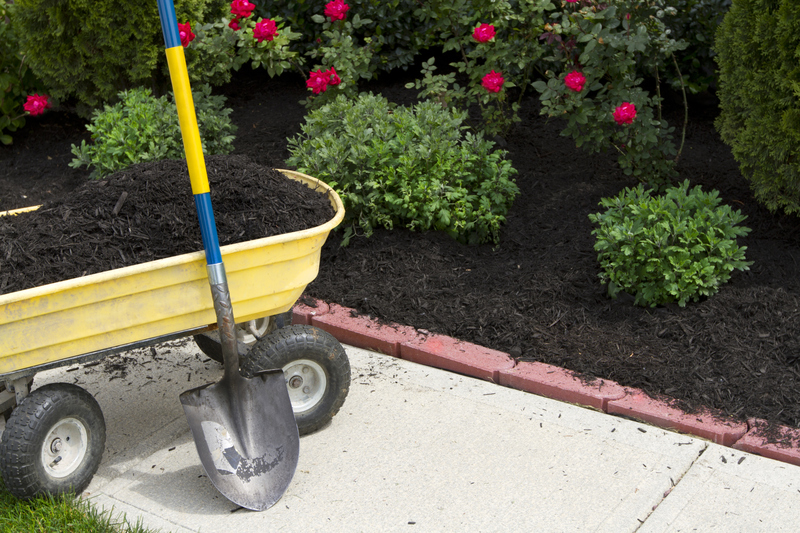 Help your garden and lawn get off to a great start with fertilizer. Like you, it is ready for Winter to be behind it. Feed your lawn and plants the nutrients they need to grow strong and healthy. Now, when you hear garden calling, it is probably saying thank you! From shovels and wheelbarrows to aerator/pluggers and Honda tillers, our expert staff is ready to help get your Spring yard projects started. Want more tips on growing the perfect lawn? Our blog, Planning for a Green Spring – Feed Your Lawn, will get you off to a great start. As always, if you have any questions about what to choose, pricing or how-to’s, don’t hesitate to contact us. Stop by our store — we’re open seven days a week.